Bill’s expertise is in photography, digital imaging and color correction. An artist himself, Bill is represented by Modernism gallery in San Francisco. He has a Masters Degree from San Francisco State in Fine Art Photography and a certificate in Multimedia Design and Production from NYU. He is professionally active as a fine artist internationally. His photographs and mixed media works have been extensively exhibited in the US, Europe and Asia since 1980 in over 20 one-man and 60 group shows. His work is represented in the collections of the Museum fur Moderne Kunst, Frankfort, Germany, the San Francisco Museum of Modern Art and the de Young Museums in San Francisco, CA, the Carnegie Mellon Institute, Pittsburgh, PA, the Oakland Museum, Oakland, CA, Stanford University, Stanford, CA, the Crocker Art Museum, Sacramento, CA, the Museum of Neon Art, Los Angeles, CA, the Southern Alleghenies Museum of Art, Loretto, PA, The Worcester Art Museum, Worcester, MA, NW Ayer Advertising, New York, the Southland Corporation, Dallas, TX, and the Arthur Anderson Co, Chicago, IL among others. His work has also been featured in a number of movies, including Robocop by Paul Verhoeven, The Namesake by Mira Nair, Definitely Maybe by Adam Brooks and Just Wright by Sanaa Hamri. 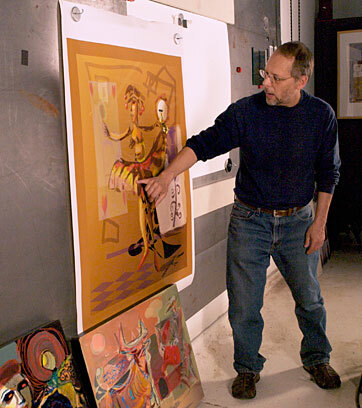 Bill was awarded the National Endowment for the Arts Fellowship twice, in 1980 for Photography and again in 1991 for Painting. Further he was awarded grants from the Eyes and Ears Foundation twice, in 1979 and again in 1984. 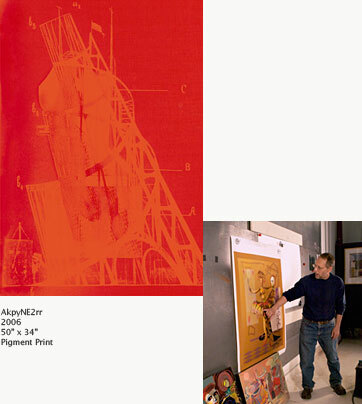 He is included in the Who's Who of American Art.